Cinema-goers in Broadstairs will get an extraordinary musical treat on Sunday February 7th when Thanet’s own master soprano will attempt to recreate the melodies of the Middle Ages. Sarah Hale, who recently completed a master’s degree in musical performance in Canterbury Christchurch university, will be singing live before a showing of “Thanet and the Black Death” at the Palace Cinema in Broadstairs. Sarah will be aiming for a uniquely authentic feel to the music. but I’m going to do my best to convey the spirit of them, to show how atmospheric and wonderful they are,” she said. As well as singing live before the screening, Sarah also stars in the film, playing one of the few people to survive the plague. Another musician to star in the film will also be performing before the screening. Geoff Huggins, from Ramsgate, will be using his own remarkable collection of early music instruments to add to the medieval atmosphere. How about including a list of well-costumed, atmospheric movies that people could rent to see what a particular period might be like? If a picture is worth a thousand words, a moving picture is worth ten thousand! (!) indicates that the movie contains a wedding scene. Great, great list of movies! I went home to Oakland to attend the 8th Oakland International Film Festival. I screened the new documentary Faire: An American Renaissance. Having never been to a Renaissance Faire, and having frequently made fun of my mom for attending Faires and admitting to having a good time there, I surprised myself by turning to my friend Amelia post-screening and saying – with no hint of irony – “Let’s go!” Expect to see me at a Ren Faire sometime soon! …Kate Hopkins, who works as Mistress of the Lists at the Michigan Renaissance Festival — or as she describes it, the joust announcer — appears in the film several times, portraying the same character she stars as annually from August to October in Holly Township. Hopkins is just one of many regular Michigan Renaissance Festival actors that had small roles in “All’s Faire in Love,” which stars Christina Ricci and Owen Benjamin as workers at a fictional Renaissance fair. About 50 people watched the film’s Michigan premiere Wednesday evening in a special events tent on the festival fairgrounds, where the movie was primarily shot. The audience laughed along throughout the Patriot Pictures romantic-comedy and applauded at the end. Many of audience members — most of whom were Michigan Renaissance Festival cast members — stayed through the credits, eyeing the screen to catch a glimpse of their name…. As for the future of “All’s Faire in Love,” Reed said producers are working on finalizing a DVD and television deal. He said the film will premiere at several other Renaissance festivals across the nation and that attendance at the screenings will determine if the film will be theatrically released…. All's Faire in Love, yes. But what's the adage when it's not working out anymore? A group of film enthusiasts are sitting back and letting the reel unwind on the first Burbank International Film Festival running through Sunday at Woodbury University (CA) . 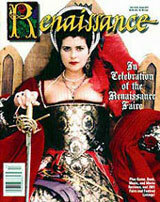 There will also be festivities surrounding the screening of “Faire: an American Renaissance” at 8 p.m. Friday. Q&A afterwards with the cast and crew. Renaissance festival performers and re-enactors will attend. Christina Ricci and the man she is apparently now engaged to marry, boyfriend Owen Benjamin.can be seen starring side-by-side one another later this year in the upcoming movie, “All’s Faire in Love”. They met on the set. ….Under an unusually aggressive program of state film incentives that began in April, nearly two dozen feature-length movies (in addition to short films, documentaries and television shows) were shot in Michigan last year with public support that can reach 42 percent of a movie’s cost, the largest such incentive offered in the United States…. The 21-year-old Shark actress is currently working with film veteran Jennifer Tilly on a new flick called Renaissance Girl. Danielle will play Kimber, an uptight intellectual girl who is forced by her aunt to work at a Renaissance Faire. The movie wiil premiere in 2009. Tony Guzman, a native Sacramento actor who played leading roles on stage and acted in Hollywood films and TV shows, has died at age 48…. …He learned fencing to play a swashbuckling Sir Walter Raleigh at the Renaissance Pleasure Faire in Novato and Agoura from 1990 to 1996…. … All’s Faire is artfully shot, well edited, and directed with a good-natured tone that never sneers at its merrily anachronistic characters. So, real Rennies, fear not. The folks of All’s Faire come in peace. As you might expect, the funniest moments come from the modern day slipping into the medieval world… Ploppy the Mud Mistress (Maryll Botula) asks whether there are any other mud mistress gigs opening up. The gifted cast has impeccable timing; they go from medieval speak to singing Bob Marley without ever winking at the audience….